I am so excited to really start training again for a big goal race. I had a great time training and running the Arches Ultra Half Marathon back in January and after a few weeks of just running whatever, I am ready to be back on a plan training for something big and scary. Back in January I attempted a a month long run streak, I did miss a couple days so I am hoping to really hit 100% of my goal this time. I am shooting for 50 days this time because I wanted a push goal and it fell in line with returning from vacation that 50 days would get me to the end of March. I read a great article in No Meat Athlete about what he gained from a 50 day run streak and how it worked for him. He talked a bit about how the streak really helped with his lacking motivation. I feel really excited about training right now but sometimes the cold dark mornings are difficult and getting through February and March will lead to better running weather. So the streak started Saturday with a fun 3.25 mile run with the entire family outside (cue angles singing). It has been so cold, dark and icy so it is time to really make friends with the treadmill. So here we go, 50 day run streak to kick off my 50 mile ultra training – more coming on that soon! 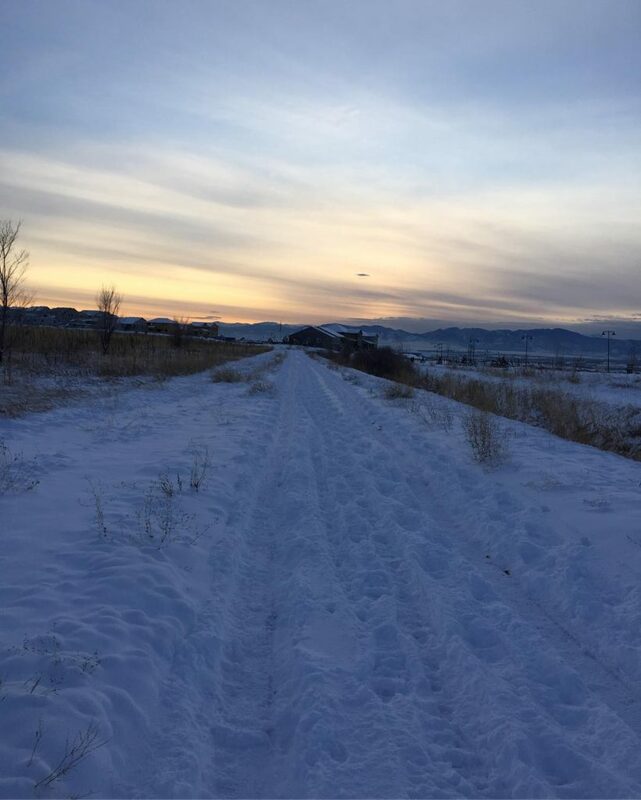 What helps you get through winter running? Ever done a run streak? I’m also a fan of the No Meat Athlete. I’ve tried to increase my cardio activity while still eating vegan. Lots of good tips on the NMA site.